Steve was defensive, as usual. “The bank sent us one of those new chip cards, I had the electric bill on automatic payment with the old card, just like you asked me to. I know I should have called them to give them the number on the new card, and I was planning to….but it just never got around to it.” He shrugged. “Steve and I have two kids… but I have three.“ Holly said to me. “Not only is it up to me to keep track of our catering business, I have to police Steve 24/7.” Her eyes flashed, as she turned to Steve. “I’m just freakin’ fed up with you Steve. I don’t think you will EVER get your act together!” Holly began to sob softly and bite her lower lip. I had been hearing anecdotes from Holly about Steve’s carelessness for the past few sessions. It was becoming increasingly obvious to me that Steve might be suffering from attention-deficit hyperactivity disorder (ADHD). Their story is not unusual. 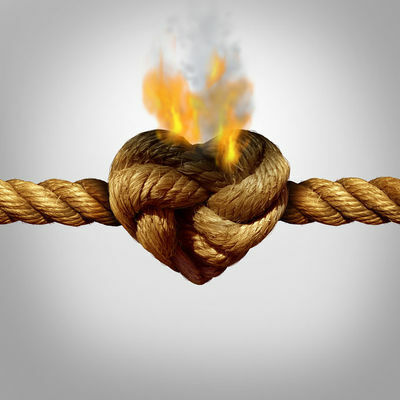 Undiagnosed ADHD and marital conflict can wreak havoc on a marriage. ADHD and marital conflict impact literally millions of marriages, and yet it remains incredibly under-diagnosed. Research by Dr. Barkley and his team revealed that 90% of adults with ADHD are undiagnosed, and therefore go untreated. Researchers got a late start in understanding adult ADHD. At first, it was believed to be strictly a childhood condition. It was a problem that many children were expected to grow out of. Perhaps because the most obvious hyperactive symptoms (the “H” in ADHD) tend to fade over time. As a result, many couples therap ists received absolutely no training in this condition. That started to change about 20 years ago. Recent breakthroughs in neuroscience have increased our understanding of adult ADHD, and evidence-based couples therapists are much better trained today to recognize ADHD and effectively intervene. Neuroscience tells us that the source of the problem in ADHD lies in the brain’s frontal cortex. This is literally the dashboard for self-regulation, focus, and most importantly, executive functioning. People with ADHD typically show significant differences in several neurological metrics. They evidence a sluggish glucose metabolism, decreased blood flow in the frontal cortex, and lower levels of dopamine and norepinephrine, which are vitally important neurotransmitters. We now know from research that a compromised level of executive functioning produces the behaviors that result in so much marital turmoil. Executive functioning is a specific set of capabilities. It is how you manage your time, how you organize your work, your capacity to concentrate and focus on the task at hand, and your ability to stay motivated and not become overwhelmed. Recent research indicates that 89-98% percent of adults with ADHD have impairments in all five of these capabilities. Like Depression, ADHD impacts every area of your life. Researchers believe it is even more impactful on a marriage than depression or anxiety. But there is hope. ADHD and marital conflict in couples are both highly treatable. A landmark study 2006 study by Dr. Russell Barkley, a clinical neuropsychologist at the Medical University of South Carolina in Charleston, estimates that just under 5% of adults are afflicted with the disorder. But the largest problem for the health of marriages for adults suffering from ADHD and marital conflict isn’t treatment…it’s accurate and timely diagnosis. Research on the impact that ADHD has on married life is growing. An increasing number of studies are showing a connection between ADHD and ongoing marital conflict. In a recent study, it was discovered that patients with undiagnosed and untreated ADHD had a higher average number of marriages. Both partners in an ADHD marriage also report that they are less satisfied with their relationship than couples who aren’t struggling with ADHD. Untreated ADHD often encourages a pattern of anxiety, depression, frustration, and self-loathing. Natural talents and gifts are obscured by the disorder. A pattern of chronic economic under-achievement and diminished expectations can foster a sense of deep disappointment in the non-ADHD spouse. Therapists who fail to recognize the disorder are often incapable of effectively impacting ADHD and marital conflict. In fact, little therapeutic traction is possible, unless the ADHD is first properly diagnosed and treated. Tragically, everyday ADHD couples enter into marriage counseling, but to no avail. 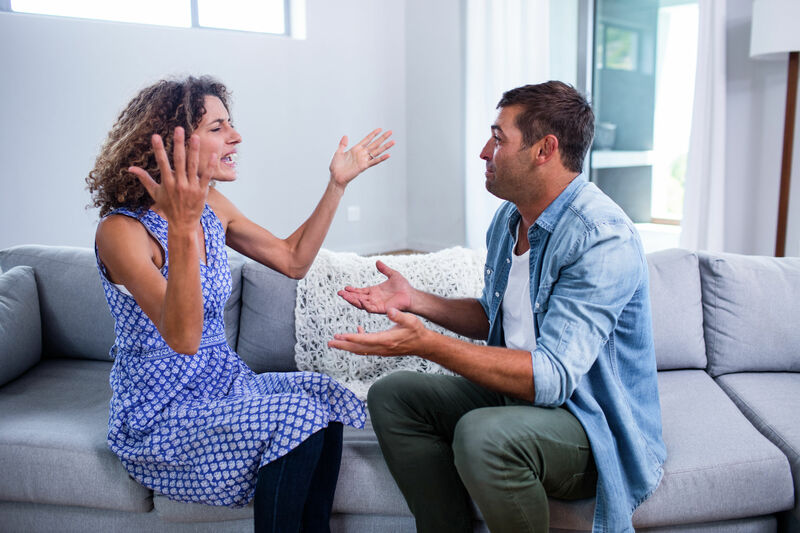 Unless the therapist is familiar with the signs of ADHD and understands the toxic impact the disorder has on the marital bond, couples therapy may be a waste of time, effort, and money. The tragedy is that ADHD is quite treatable. If the couples therapist is familiar with the research, they can recognize the interpersonal signs of an ADHD marriage. It is essential to get a proper diagnosis. Once ADHD is identified as the source of the problem, the couple can begin to repair the damage in the relationship. “It doesn’t mean you’re still not madder than a wet hen, but you have a reason to overcome it. Learn to accept that the memory issues are physiological, not some sort of shortcoming in learning on your ADHD partner’s part, and that memory issues will remain” says Orlov. Psycho-education about the impact of ADHD on brain functioning is essential. Couples therapy can help the ADHD couple overcome the anger resentment and come to recognize their strengths as a couple again. Researchers are continuing to learn more about this disorder, and treatment regimens are constantly being refined. With education and effective science-based couple therapy, the ADHD couple can accept that ADHD is a brain disorder, not a personality disorder. Managing the ADHD and marital conflict can become a more collaborative effort. Medication is effective in 70-80% of adult ADHD patients, and for those clients, the improvement can be as immediately beneficial as a new hearing aid. The good news is that ADHD is easier to treat than depression or anxiety. The earlier the diagnosis, the faster the couple can heal and repair from its impact on their relationship. P.S. ADHD is significant, and an often overlooked issue in couples therapy. Rarely do we see a condition so toxic, and yet so treatable. We have a brand new affiliate couples therapist, Jennifer Elkins who specializes in treating ADHD couples. Her personal information will be posted soon. Jennifer not only works with couples struggling to manage ADHD, she has ADHD as well. We are proud to have her join our the CTI team!